A+ TV Left DD Freedish, Now added Vacant Slot TEST 316 on 3rd August 2016. 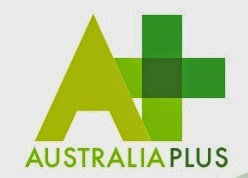 A+ TV (Australia Plus TV) channel broadcasting culture, life and society of Australia. This channel is part of ABC international and Radio Australia. Australia Plus also offers bilingual English Language learning, stories about and from our region in the languages of Asia and the Pacific and encourages audience contribution through the sharing of thoughts, ideas, cultural perspectives and points of view. Keep visit us on www.freedish.in for latest updates.